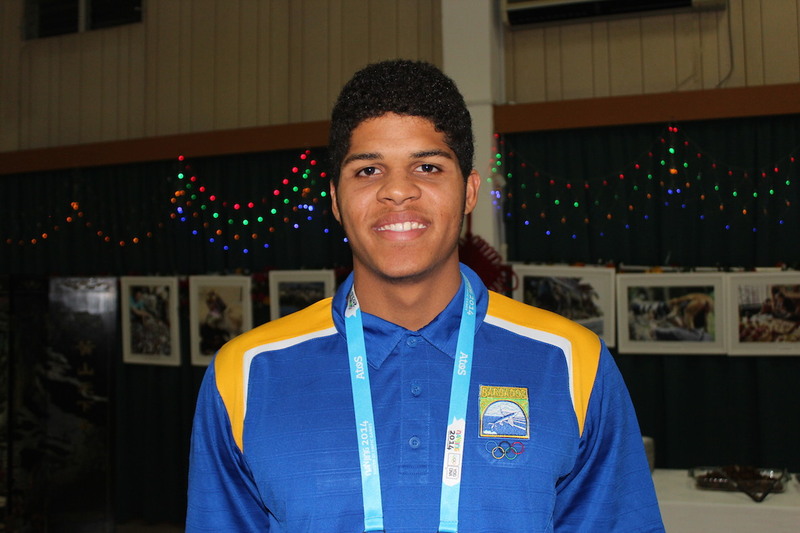 Youth Olympic Games Team – Barbados Olympic Association Inc.
Tristan Evelyn attended the Springer Memorial all girls institution. Tristan is coached by Alwyn Babb of the Rising Stars Track Club and was a silver medalist at this year’s CAC Games held in Morelia, Mexico and placed 4th at the 2014 Carifta Games held in Martinque in the 100m. 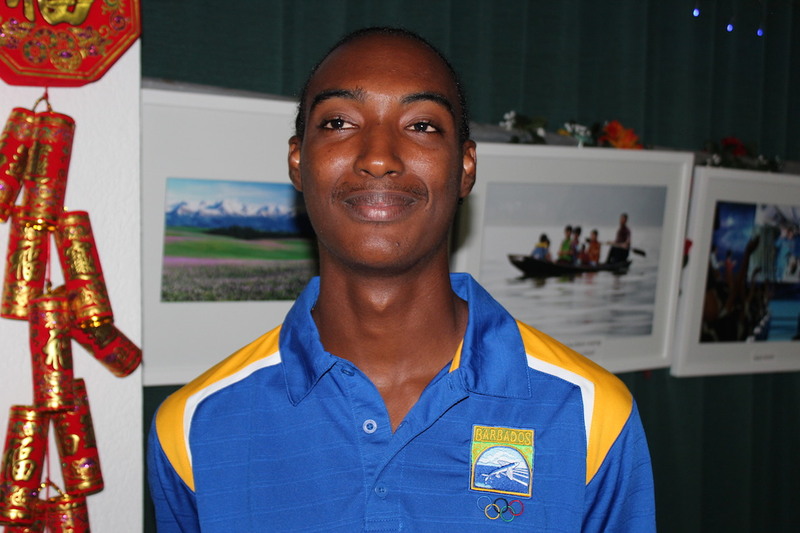 Tristan recently represented Barbados at the 2014 World Junior Championships in Eugene, Oregon. Tristan will be competing in this year’s Youth Olympics in the 100m where her personal best is 11.52 seconds. Her main objectives from this competition are to achieve a medal, attain a new personal best and to get the National Junior Record of 11.30 seconds. Her other objectives are to meet other people from around the world, sharing our cultures and trying out different foods. Rivaldo Leacock is Proud student of the Lester Vaughn School and member of the Rising Stars Track & Field Club. His specialty is the 400m where he is the reigning CAC Gold medallist and the 2013 Carifta Champion. Ramarco Thompson – 17 year old and went to school at the Combermere Secondary School. Ramarco will compete in the 200 meter and the 400 meter. In the 400m, Ramarco’s personal best is 48.32 seconds and in the 200 meter 21.53 seconds. At the Youth Olympic Games he will be competing in the 200 meter and his goal is to run 21.0 seconds or less and attain a medal for Barbados. He would like to thank his coach Michael Worrell of the Freedom Striders track and field club for preparing him to get to this stage and also to thank his parents for their support. He also wants to thank God for blessing him with this opportunity to represent his country. Sada Williams is a 16 year old student , formally of the Coleridge & Parry School , who is currently pursuing an athletic career in Track & Field. She is a member of the Elite Distance Program which was founded by head coaches Leo Garnes, former Olympian, and Ramon Armstrong. Her events are the 200m & the 400m. During the 2014 Track & Field season, she obtained a personal best in the 200m & the 400m in the times of 23.4 seconds & 53.39 seconds, respectively, both at the 2014 Carifta Games. Her current goal towards the upcoming Youth Olympics, is to run under 52 seconds in the 400m & hopefully to obtain a medal for her country while achieving a new personal best. Michael Nicholls is a 17 year old student athlete of the Lester Vaughan School and current member of the Rising Stars Track and Field Club, coached by Mr. Alwyn Babb. Michael’s track discipline is the 110m hurdles in which he achieved a life time best of 13.64 (+0.64) at the 2014 Carifta Games in Martinique, he later ran a time of 13.66 just 0.02 off of his personal best in Morelia, Mexico at the Central American and Caribbean Championships. Michael’s goals for the upcoming YOUTH OLYMPIC GAMES are to obtain a personal best and hopefully to earn a medal for his country. 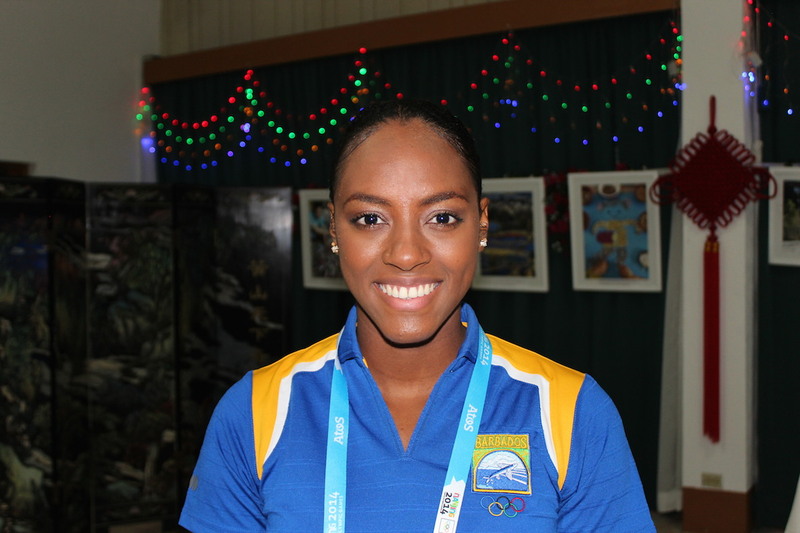 Hannah Gill – At 15 years of age, Hannah is the youngest member of the Barbados team to the Youth Olympic Games. She will be competing in the 400m and 800m Freestyle events against athletes ranging between 15-18 years old. 2014 has been a successful year so far for Hannah. 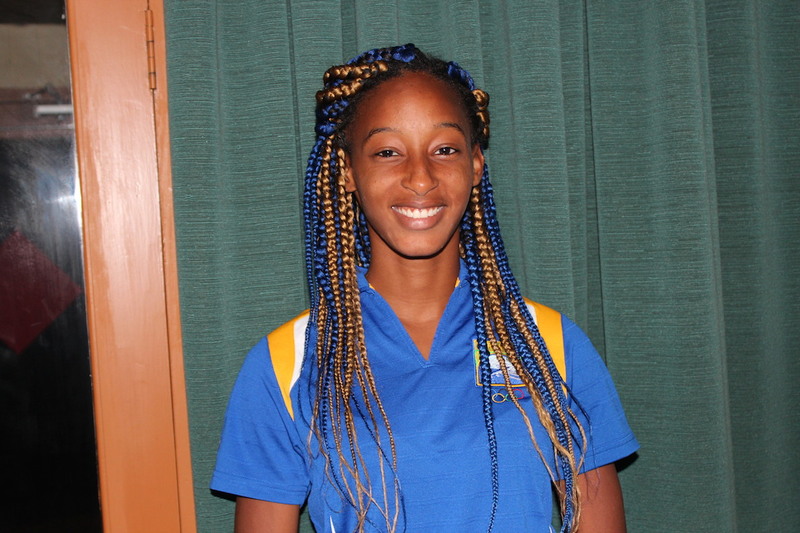 At the Carifta Championships in April, she was a gold medalist in the 200m, 400m and 800m freestyle events and went on to repeat these gold medal performances at the Caribbean Island Swimming Championships held in early July. Hannah not only won the gold in these events but also set new meet records in both the 400m and 800m events, as well as new national age group records. 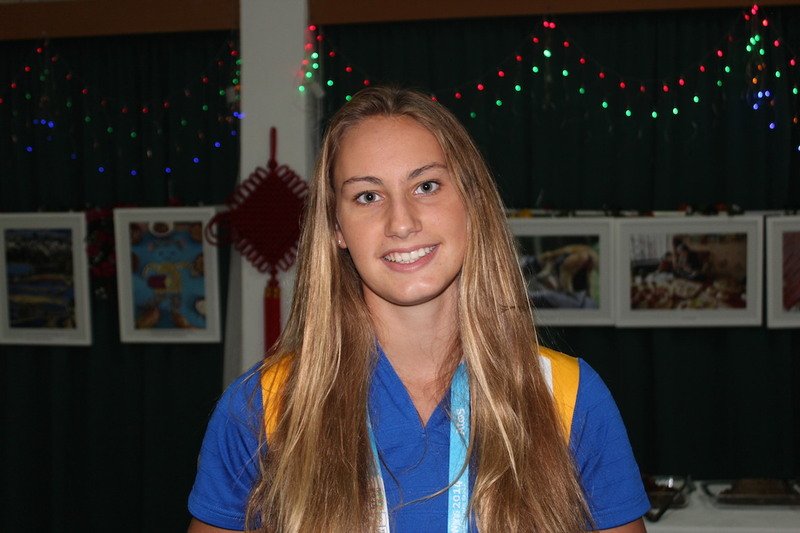 Hannah hopes to achieve personal best times at the Games in both of her events as well as reduce her time in the 800m freestyle with the intention of achieving an A qualifying time for the CAC Games scheduled for later this year. 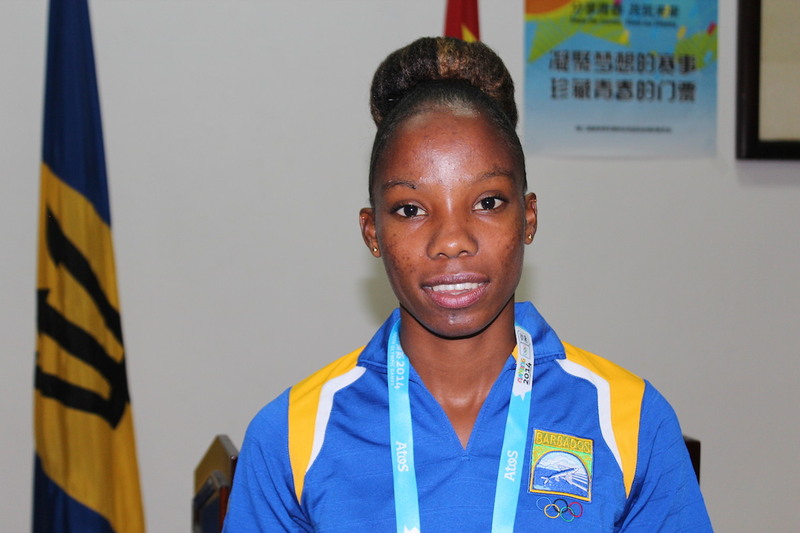 She is excited to participate in and experience the spirit of the Youth Olympics and share her love of Barbados with other athletes. Zabrina Holder is 17 years of age and attended the St. Michael school. Over the years it has been a great pleasure and achievement for her as she represented Barbados in swimming. It has always been her dream to attend the Youth Olympic Games and therefore she is extremely thankful to be given this opportunity. She will be competing in the 100 meter butterfly and the 50 freestyle meter events, consequently allowing her to attain one of her goals of qualifying for the CAC games and obtaining “A” times. Zabrina is also very creative and enjoys fashion. Christian Selby: Age : 17 years, Christian is a former student of Queen’s College and he presently attends Baylor School in Chattanooga, Tennessee, USA, and will be a senior in 12th Grade from August, 2014. Christian enjoys the sport of swimming and has been swimming competitively from 8 years old. Christian was the recipient of the NSC Most Outstanding Youth Athlete Award in 2010 and 2012. He has been Age Group Champion and Most Outstanding Male Swimmer on several occasions and is the holder of several Age Group and National records. At the 2014 Carifta Championships in Aruba Christian was the 15-17 Age Group Champion. 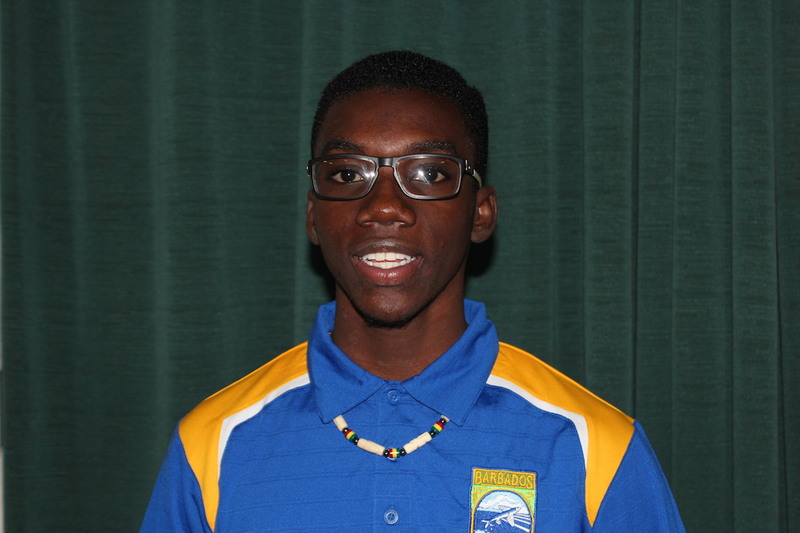 Christian is looking forward to representing Barbados at the 2014 Youth Olympics in Nanjing, China, in the 200m and 400m freestyle events. Christian enjoys listening to music and playing basketball.